This guide will help you find current and historical aerial photos, satellite imagery, and other remote sensing imagery, such as DEMs. 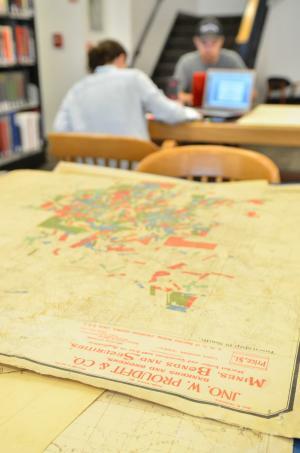 For more assistance or to learn more about what is available in the Map Library, please email maplib@colorado.edu or visit the Jerry Crail Johnson Earth Sciences & Map Library in the Benson Earth Sciences Building. BOW 1-19 taken by the US Forest Service, 1938. From the Historical Aerial Photos of Colorado digital collection.